In this study, seeds from 106 collection locations from the southwestern United States were established in common gardens and four phenological traits, six production traits, and eight morphology traits were measured in 2007 and 2008. Analyses of variance revealed that all basic garden traits differed among source locations (P < 0.01), indicating widespread genetic variation. 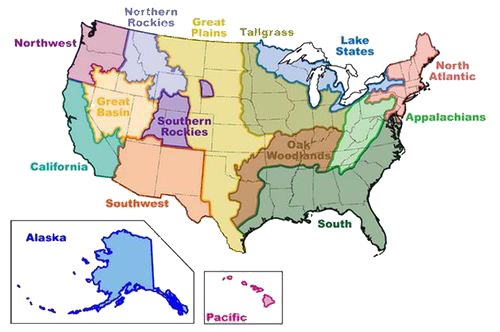 Using regression models between traits and climate, a map with 12 seed zones was developed representing much of the southwestern United States. The seed zone map is recommended to guide and broaden germplasm collection and utilization for Indian ricegrass restoration.